Judy, her family and Scruff the border terrier welcome you to stay in our lovely home surrounded by extensive grounds and enhanced by a wonderful wildlife pond. We have very few house rules and hope you come as strangers and leave as friends! 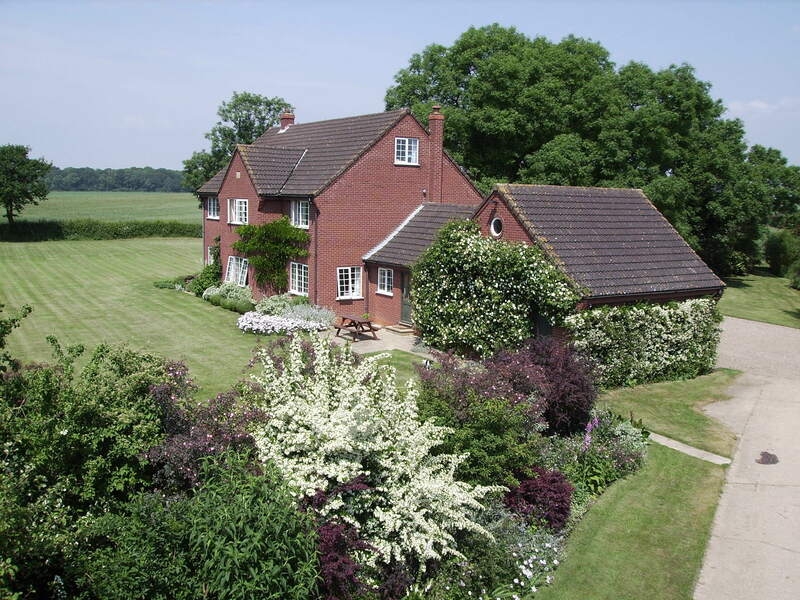 Greenfield Farm B&B is set in a quiet spot one mile from the A158 between Lincoln and Horncastle. It is centrally placed for exploring most of Lincolnshire. We have 3 bedrooms, 2 doubles and 1 twin all with en suite shower rooms. Breakfast is served in the dining room. There is a choice of teas and coffees. You can help yourself to fruit, yoghurt, juice and cereals. From the menu there is a choice of any combination of locally sourced cooked breakfast – including Lincolnshire sausages and dry cured bacon. Then to finish toast and homemade marmalade, jams and more coffee! Greenfield Farm is a working arable farm with farm trails and a large reservoir with lots of wild flowers and masses of wildlife. We border Chambers Farm Wood Nature Reserve, for which a leaflet is available to help you explore further. Scruff can be taken for a walk if you want some company! Lincoln now has a handy Park & Ride on our side of the City or the No 6 bus goes along the A158 with direct access to the centre of Lincoln, both offering free travel for those with a bus pass.